Experts at City, University of London provide analysis of the 2016 Autumn Statement. Academics from across City, University of London have provided analysis of the 2016 Autumn Statement announced on Wednesday 23rd November. Professor Pullen also broadly welcomes Chancellor Hammond’s desire for the UK to build a competitive advantage in connected, autonomous vehicles. 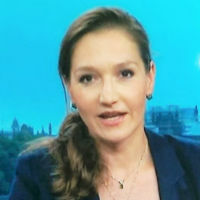 Professor Anastasia Nesvetailova, of the Department of International Politics, said: “The Chancellor’s autumn statement offered us a glimpse into the politics of economy planning in post-truth times. “What seems to be missing in post-truth political debates is that government works on the basis of forecasts and scenario planning. The estimation offered by OBR may be subject to debate, but the authorities can only plan according to this forecast. “Forecasts in turn, are political tools, too. The OBR forecast, criticised by some for being too pessimistic, is probably far too rosy. Based on a soft Brexit scenario for the UK, it gives us an indication of the political direction of the UK’s economic strategy. “In announcing his fiscal framework, the Chancellor has to cater to very different constituencies. The 51 per cent of the voters who opted to leave are divided between the free marketeers and fiscal hawks, and the aggrieved majority who want more protectionism and less openness. The 48 per cent are mostly being ignored in the political discussion. “Faced with mutually exclusive demands, Phillip Hammond could not offer much at all. As a result, it appears that the government will try to support business, on the premise that business creates jobs. Investment in public services will decline further, the debt will go up. In Brexit Britain, it will be more expensive to borrow, while the reduced growth – as anticipated by the government, the Treasury, the OBR and the BoE – will make it more difficult to service. Professor ManMohan Sodhi, Professor of Supply Chain Management, Cass Business School said the Chancellor had to balance long-term challenges — the productivity gap, the housing challenge, and the imbalance in economic growth and prosperity — versus the short-term challenge of Brexit. “Tax relief and doubling the export finance capability are certainly welcome but how we survive in the short term before we thrive in the long term is a question that will come soon with Article 50. Whether we can actually thrive in the long-term with these funds and an expressway between two universities will be yet another question. Expect a winter of discontent following the Autumn Statement." A fear of “economic headwinds” and negative results of Brexit were key to the measures outlined in the Chancellor’s Autumn Statement, according to Professor Richard Murphy of the Department of International Politics. Professor Murphy added that the Chancellor’s statement was “bereft of ideas” and failed to mention predicted rises in inflation, suggesting it was “something he would rather avoid”. However, Professor Murphy said Phillip Hammond was unable to avoid touching on the Office for Budget Responsibility’s forecast that growth will be weaker than previously thought. Discussing differences with the approach of the previous Chancellor George Osborne, who introduced many cuts to public spending, Professor Murphy said the autumn statement showed “fiscal rules can be abandoned with impunity”. Another area highlighted by Professor Murphy was investment in infrastructure, which he said was “peanuts”. Looking at statements on tax and benefits, he said proposed cut on Universal Credit taper rate “cannot compensate for the failings of Universal Credit” and proposed benefit cuts for next year will continue. In addition, he said increases in the living wage would help those in poverty, but said personal allowance increases would not. Professor Murphy said this would take place while cuts to corporation tax are going ahead, which he said would cost £6 billion a year. Professor Murphy stressed that the size of the nation’s debt was £435 billion less than the £1.6 trillion figure that is commonly quoted, explaining that debt owned by the government should be deducted from the total.